The turbocharged 1.5L ECOTEC® engine employs fuel-saving technologies including Variable Valve Timing, Direct Injection and stop/start technology. It powers a sporty, responsive ride that offers an impressive 36 MPG highway with a maximum highway range of up to 560 miles per tank. 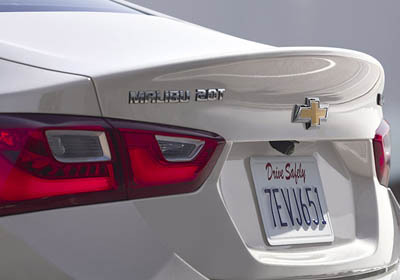 LED taillamps give the Malibu a sporty and modern look. Make charging cords a thing of the past. Drivers no longer have to worry about carrying around a charger for their compatible smartphone, thanks to this wireless charging feature. It enables some of today’s popular smartphones to power up by simply placing them in a slot forward of the center console. Available active safety technologies like Low Speed Forward Automatic Braking and Lane Keep Assist work to help you prevent accidents before they happen. In the event of a collision, Malibu comes with an advanced air bag system and high-strength steel body structure to help protect you, and offers OnStar® Automatic Crash Response to contact emergency services on your behalf. 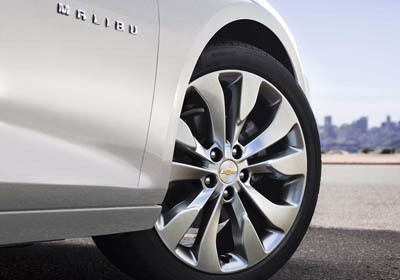 And to top it off, the Malibu has earned an IIHS Top Safety Pick & Award when equipped with available Low Speed Forward Automatic Braking. Chevrolet vehicles offer some of the latest air bag technologies, with many vehicles offering 10 standard air bags. A 360-degree smart sensor system, available on select models, ensures optimal air bag deployment and is able to adjust inflation according to the severity of a collision. An industry-first front center side-impact air bag deploys to the inboard side of the driver seat to add a layer of protection between driver and passenger. In the event of a collision, Chevrolet drivers benefit from the safety and support of OnStar® with Automatic Crash Response. Built-in sensors can automatically alert an OnStar® Advisor, who is immediately connected to your vehicle to see if you need help. Even if you don’t respond, an OnStar® Advisor can use GPS technology to pinpoint your exact location and request that emergency help be sent immediately. 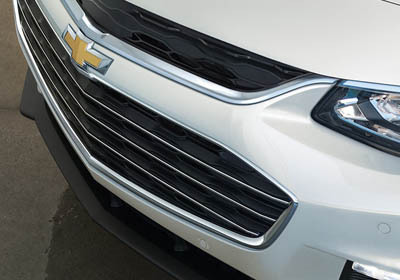 Most Chevrolet models come with OnStar® for three months.